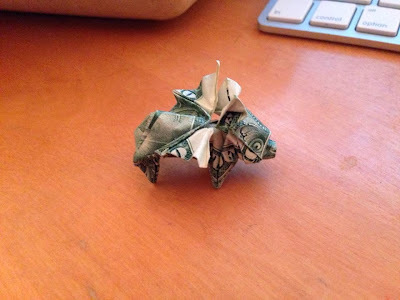 I was originally trying to make a chameleon, which then turned into a rabbit with extra paper. The excess paper seemed to be a good size for wings, but a winged rabbit wouldn't make much sense. I shortened the ears and added a snout to end up with this. 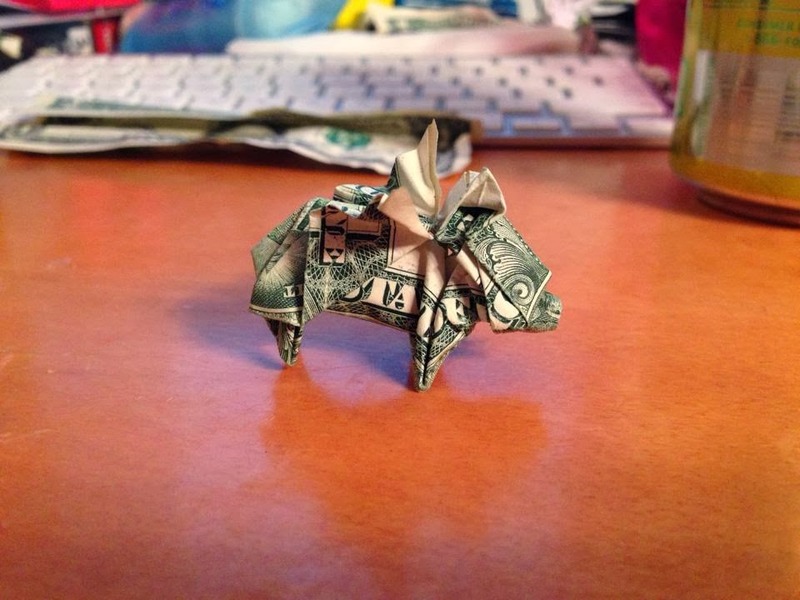 Your Flying Pig looks GREAT! 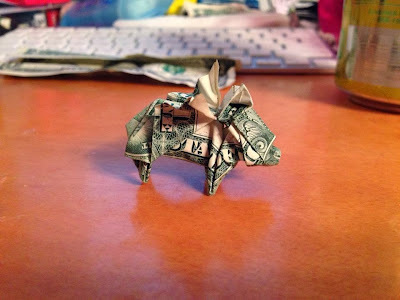 Be careful that your money doesn't fly away! Is there a diagram/tutorial somewhere for this model?